We answer ALL enquiries. 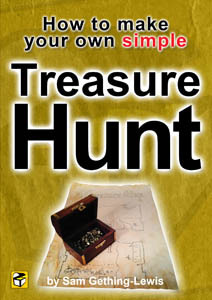 We can create treasure hunts for you or consult on your projects. You can communicate with us in many many ways. We try not to make a long treasure hunt of clicks for you to get through. We send out a newsletter with Treasure Hunt based news, puzzles and information. Try our puzzles and join the list – it’s FREE! Newsletters: Sign up just there – down there – right down there yes. Blog: Games, articles, news and treasure hunt facts. TV: Watch Country House Rescue & Gadget Show. Confidentiality: We can assure you that we will not share any confidential details if you choose to share them with us. The nature of this business is secrecy and we are good at it. Address: You won’t find our address anywhere on this website or online. This is due to the extraordinary lengths some people go to solving treasure hunts. *SEO: We don’t need any help but thank you ALL for your very kind offers.